CEP350, also named as CAP350, FLJ38282, FLJ44058, GM133 and KIAA0480, plays an essential role in centriole growth by stabilizing a procentriolar seed composed of at least, SASS6 and CENPJ. It is required for anchoring microtubules to the centrosomes and for the integrity of the microtubule network. CEP350 recruits PPARA to discrete subcellular compartments and thereby modulates PPARA activity. 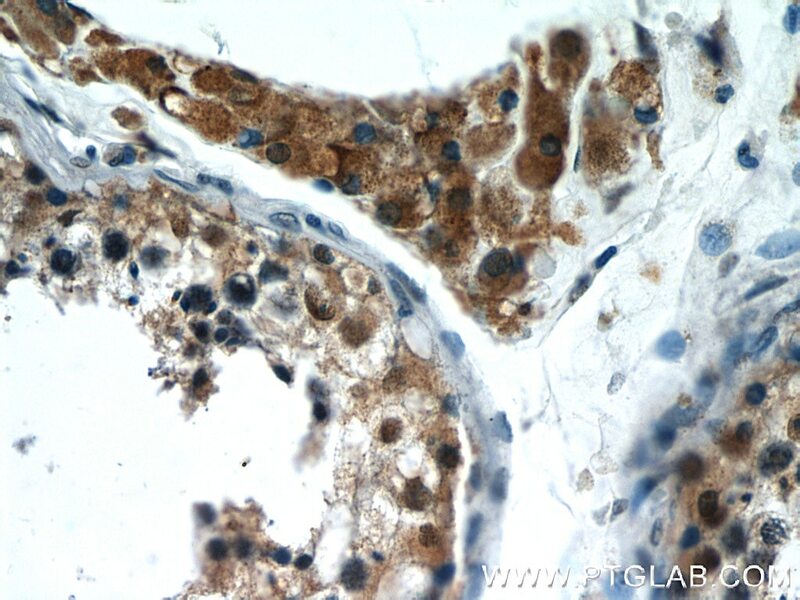 The antibody is specific to CEP350.